Spruce up your tie collection with this contemporary accessory by designer Puccini. No words are needed to describe how unique this piece is. 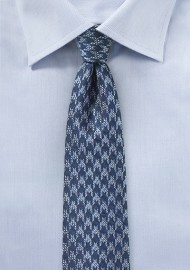 Two shades of blue, a bold houndstooth check, and a slimmed down cut all add up to one modern accessory. 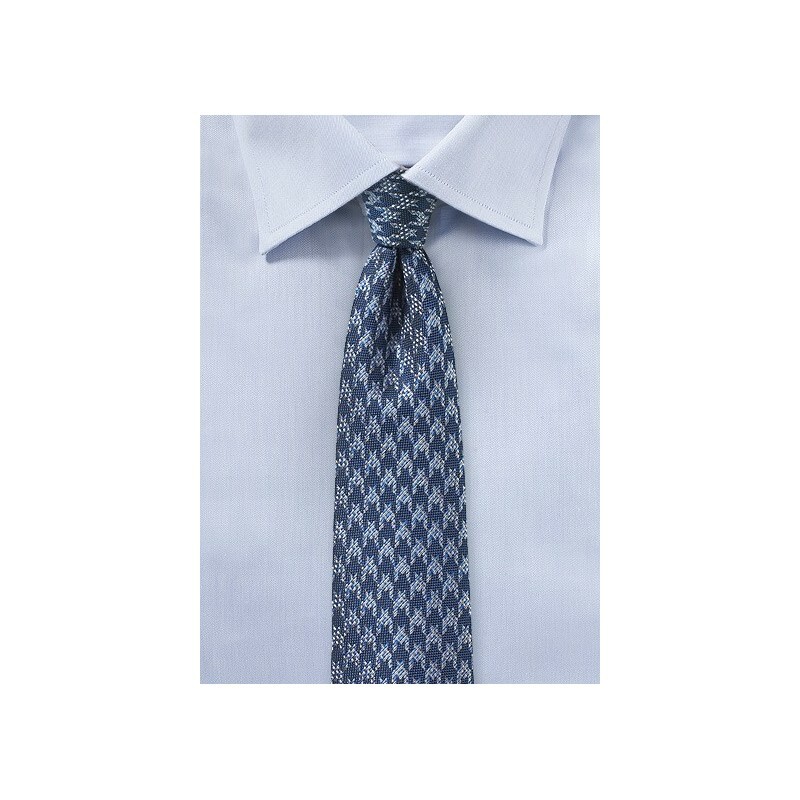 A perfect tie for your fitted white, gray or light blue button ups. Made from woven microfiber. Standard Length: 58", Skinny Width: 2.75"